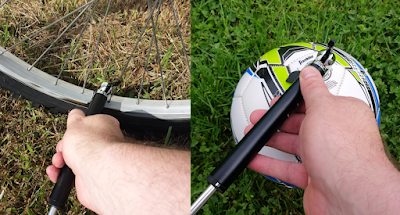 Anybody who rides a bike knows the importance of keeping a good quality bike pump close by. 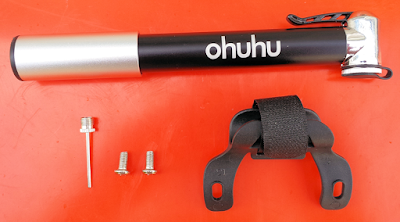 Even though I am only a fair weather cyclist, I was asked to try out the Ohuhu® Mini Bike Pump - Mountain Bike Tire Pump and give my opinion, so here goes. 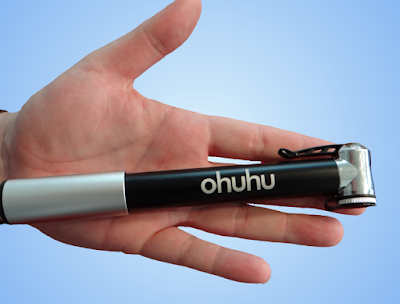 The first thing I noticed about this mini bike pump is that it is indeed mini, measuring 7.5 inches closed and only 11.5 inches fully extended. Once I got over it's petite size, I noticed how well built this pump is. It is made from an aluminum alloy which is strong yet light, meaning this pump weighs in at a mere 3.2oz. This pump is versatile since it is switchable from Schrader to Presta valves to inflate any style of bike tire. Simply unscrew the cap and reverse the 2 pieces inside to switch from one valve style to the other. The package also includes a mounting bracket to fix the pump to your bike, and a needle to inflate a soccer or basketball (or inflatable ball of your choice). While having a mini pump means it takes up a lot less space, it also means that the volume of air delivered with each pump is smaller than a standard size pump. 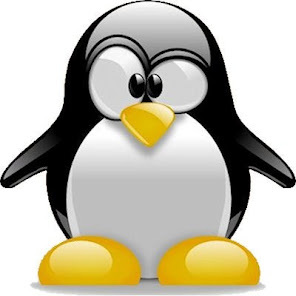 This means that you need to pump more times to fill your tire/ball/inflatable. Some mini pumps get around this by using a double action mechanism which inflates on the up stroke as well as the down stroke, and unfortunately this is not one of those. It takes a little getting used to with just a 4 inch extension, but once you get a rhythm going it's much easier to fill a flat tire. 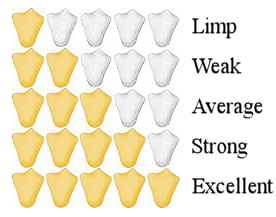 The manufacturer claims a 110 psi max inflation, and since I don't have a road bike or anything else which needs that kind of tire pressure, I can't confirm those numbers, although I did get my hybrid bike tires up to the recommended 65 psi with no trouble. Overall I like this pump for topping off tires and getting my daughters soccer ball up to pressure, but it is exhausting to go from flat to full considering the small air volume it moves with each stroke. This mini pump is compact and tough and would work in an emergency, but I am sticking to the full size pump I already own. This one is now in my daughter's soccer bag so she can keep her ball pumped up, and she loves because it's the right size for her.